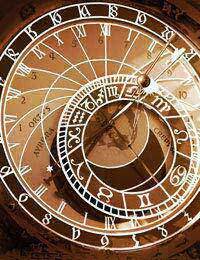 Astrology may have been one of the earliest forms of psychology as it strives to understand why humans behave the way they do. The basic need to understand humans ties these two sciences together yet both have been the subject of ridicule through the years. Swiss psychiatrist and Freud disciple Carl Gustav Jung was very interested in both psychology and astrology and sought to combine the two with his theories. It was Jung perhaps more than any other psychiatrist that helped bridge the gap between astrology and psychology. Jung was very interested in alchemy and astrology and incorporated his ideas into his works. Jung had himself had paranormal experiences as a child, so to look towards astrology to help unlock one's psyche seemed a natural progression. At the time, astrology was often viewed as taboo; however, Jung believed that any means necessary to heal the psyche must be explored. Jung worked closely with Freud early in his career and became very interested in the unconscious, feeling it was an important part of the psyche. Jung had a vast knowledge of mythology, religion, and philosophy and he himself had experienced vivid dreams and visions as a child. He felt that man often became too reliant on science and logic rather than integrating spirituality and appreciation of the unconscious. After their split, Freud was very critical of Jung's interest in what he felt was the paranormal. In addition to Freud, many of Jung's students and colleagues were less than accepting of his interest in astrology. To help better understand a patient, Jung would have a patient's birth chart created. In fact, Jung may not have had to go very far to get a chart as his own daughter, Gret Baumann-Jung was a highly respected astrologer. Jung also advanced the theory of psychological archetypes of the unconscious and these archetypes are associated to the sun, moon, and planets used in astrology. In a letter to a Hindu astrologer in 1947, Jung wrote that he had been interested in astrology for over 30 years and was particularly interested in the use of the horoscope to help him better understand a particularly difficult psychological diagnosis. He felt that astrological data lead him to see things from an entirely different point of view and cleared up things that had been confusing to him. He was quoted as saying "From such experiences I formed the opinion that astrology is of particular interest to the psychologist, since it contains a sort of psychological experience which we call 'projected' - this means that we find the psychological facts as it were in the constellations." "The Ascent of the Soul," which explores celestial ascent as well as what it tells us about the planets and the development of individuals. Carl Jung was a visionary who took psychology into new realms of enlightenment through the use of horoscopes and charts. Although shunned by many for his beliefs, Jung gave patients a new way of understanding themselves outside traditional psychoanalysis. Even after Jung's death, may others continue to believe that there is an undeniable link between psychology and astrology.